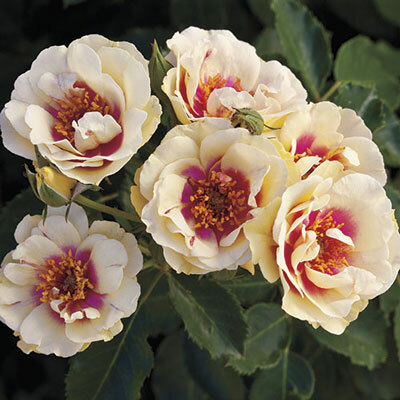 The cranberry eye zone set at the base of each creamy white petal might remind you of Rose of Sharon and it keeps that novel marking until the flower finishes. The surprising twist for this unusual Shrub is SUPERB BLACK SPOT RESISTANCE. The bushy plant loves to grow and, in milder climates, may require some shaping to keep it in bounds. Better habit/bloom in colder climates.